Top Knots was founded by Bailey Sevey. She's an Arizona native, a wife, and a mom of two. 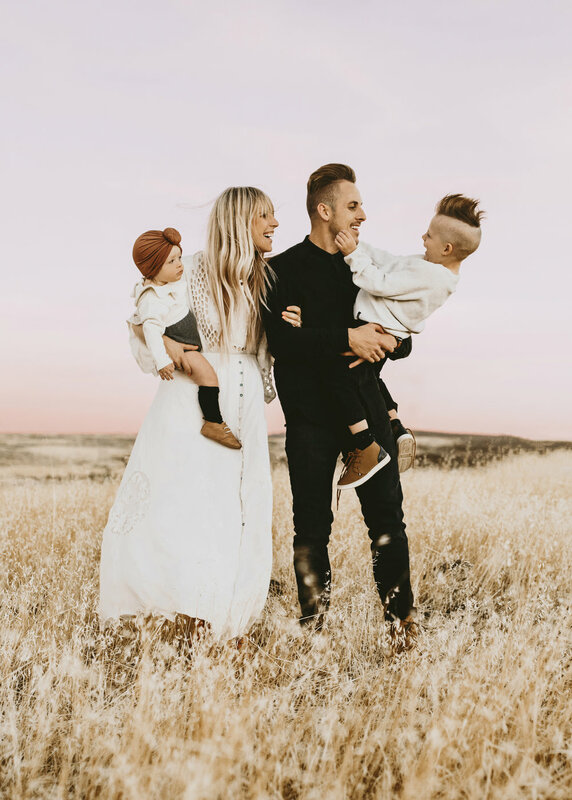 Her husband, Chase, is a full time photographer and the person behind Top Knots photography. With a baby girl (Lennon) on the way, Bailey was determined to find the perfect infant turban. After searching practically everywhere, she soon realized she'd have to just create the design she envisioned. Using some discount fabric and a bit of creativity, Bailey designed her first Top Knot. It wasn't perfect, but whenever Lennon was sporting her head wrap, Bailey was complimented on it everywhere she went. It was only after a trip to Disneyland — when countless people asked where they could buy a Top Knot like Lennon's — that Bailey realized she wanted to share them with others. Bailey perfected the design of her Top Knots and set up her first flash sale via Instagram. She had high hopes of selling 25-50 Top Knots, but in just a matter of hours she had sold nearly 200 Top Knots. Few things bring Bailey as much joy as seeing others wearing and loving their Top Knots. An authentic Top Knot is distinguished by its signature single-piece of fabric construction and is NEVER sewn.